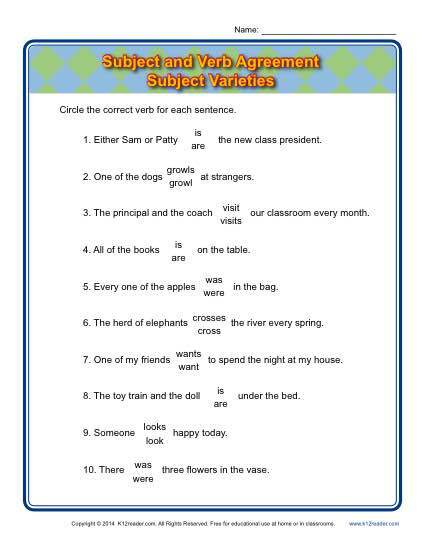 Your student will take the next step with subject and verb agreement with this worksheet. The subject in these sentences are more challenging, including some tricky pronouns. Either as a practice for 3rd grade Common Core Standards for Language or as a drill for other grades, it’s sure to be helpful.